Summit Daily letters: Why don’t Summit schools observe MLK Day? 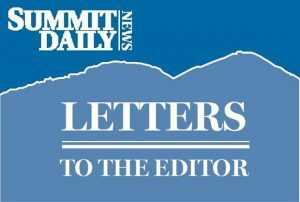 On Monday, all around our nation, Americans remembered and honored Dr. Martin Luther King Jr. — but not in Summit County? My child had school today like any other day. There was no curriculum focused on Dr. King or his fight against injustice and for equality. Dr. King is/was one of our greatest leaders, a humanitarian, a Nobel peace prize winner who was assassinated for wanting equality for all and an end to racism. On Nov 2, 1983, Ronald Reagan signed into law Martin Luther King Jr. Day, the first federal holiday honoring an African American. John Conyers first introduced a bill for a holiday honoring Dr. King in 1968. It took 15 years to finally make it happen and took another 20 years for all 50 states to recognize it. Well, not Summit. I have written to our superintendent of schools a number of times. I was told that it was needed to make up for snow days. Certainly whatever challenges and sacrifices Summit parents have to endure by having their children out of school pale in comparison to what Dr. King and other civil rights leaders went through for all of us. Is that where we are as a community? We will not allow ourselves to be inconvenienced by honoring the legacy of one of our greatest leaders who died fighting for all of our rights and fighting against injustice and racism. It makes me ashamed. We do not need to reinforce any misguided notions that this holiday is only for the black community. That would be outrageous. Dr. King deserves better, our children deserve better, we all as a community deserve better. Given our country’s history so deeply steeped in racism and slavery and our current divided country, isn’t it even more important now to remember and reflect? We need to continue the fight against racism inequality and injustice and continue to remember and honor the lessons of Dr. Martin Luther King Jr.